Rich, deep soil, firm with plenty of well rotted compost dug in to provide abundant organic matter. Mix a high-nitrogen compost into the soil before planting. Beet, Buckwheat, Calendula, Carrot, Chamomile, Dill, Marigold, Mint, Nasturtium, Onion, Onions, Rosemary, Sage, Thyme, Potatoes and Agastache. Where summers are cool, start indoors in early spring and set plants out when they have 5 or more leaves. In other areas, start seeds indoors in summer and set out plants 8 weeks before your first fall frost date. Under the coldest conditions, colonies of gray-green cabbage aphids can seriously infest plants. Control early outbreaks with insecticidal soap. 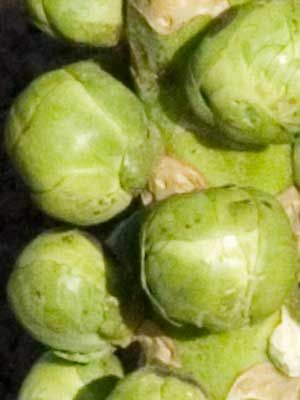 Harvest from the bottom of the plant upward, twisting off sprouts that are larger than a marble. Removing nearby leaves helps to make room for growing sprouts.